Shooting range is located on the Pala Indian reservation. RECREATIONAL SHOOTING IS CONDUCTED EACH MONDAY AND FRIDAY FROM 8AM TO 2 PM. 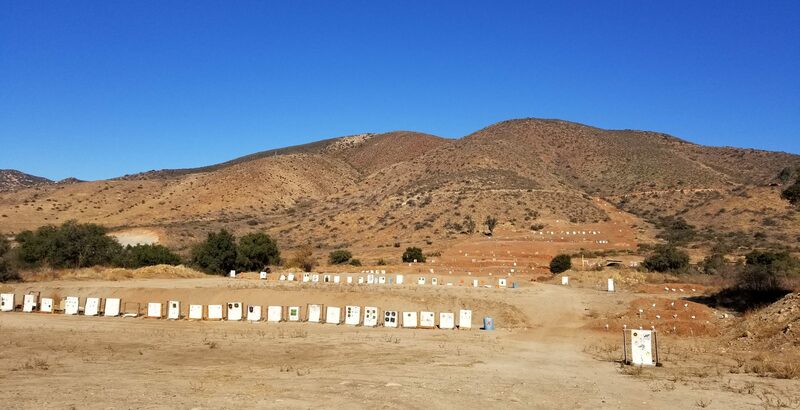 Pala Shooting Range is the only range in Southern California with a range that reaches out to 887 yards. That is right you can shoot all the way out to 887 yards on the rifle range. NO 50 CAL BMG OR RDS THAT ARE BASED ON THAT 50 CAL CASE LIKE 408 RUGERS ETC. NO STEEL CORE AMMO ALOWED TO SHOOT . Directions to Range: Pala Indian reservation is located 5 miles east of I-15 on State Hwy 76. Turn left at stop light for the Pala Casino and Resort. This puts you on Pala Mission Rd. When arriving from 1-15 you turn north or left on to Henderson Rd. When arriving from Pauma valley area on Hy -76 you turn north or right on to Henderson rd. No water available on range. Portapotties on site.